Over the past week there has been a lot of noise surrounding the changes to Facebook. The big one is the change-over to timeline and, thus, the highlighting of old posts. I thought that while some of my friends are leaping off Facebook I’d like Zuckerburg and Co. to do something to entice them back. We're rolling sushi? 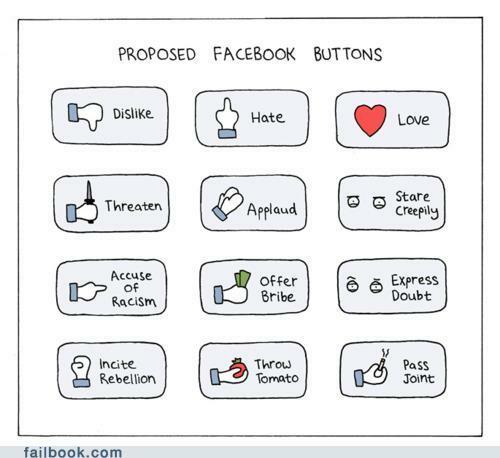 Cool!I desperately want a *dislike* and *maim with a hammer* button.